This Inn is furnished with oriental-inspired rooms decorated and named to reflect Singapore’s Chinese heritage, designed to allow guests to step into the history of Singapore’s Chinese immigrants. 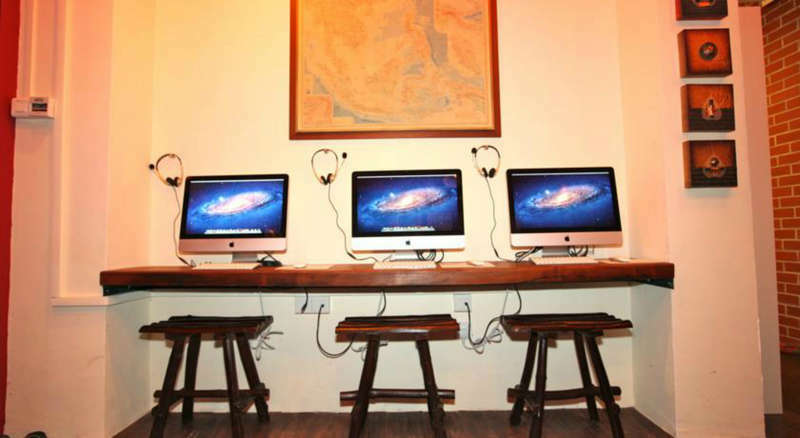 We are equipped with the latest widescreen iMac’s which will definitely suit your surfing needs. 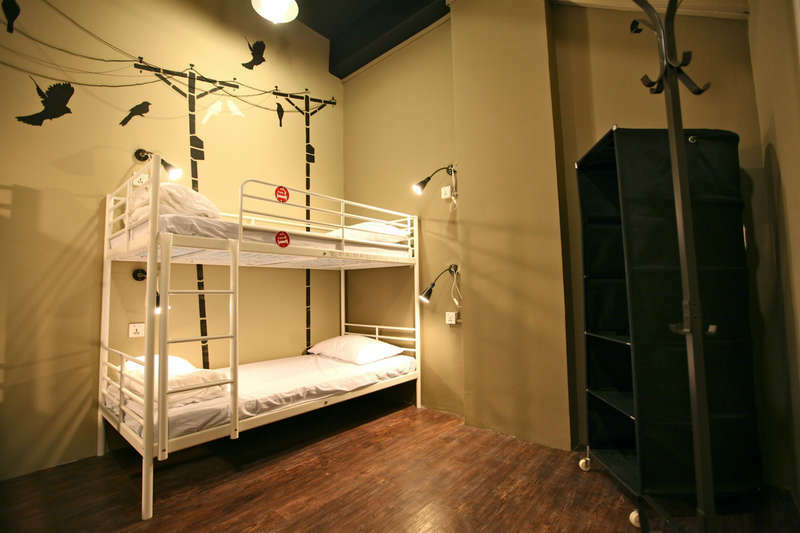 This outlet is suitable for solo, couple, groups of friends and family. All our rooms are fully air-conditioned, includes fan, individual international plug socket, comprise of fresh linens, blanket and soft pillow. We also provide complimentary WiFi access throughout the Inn. A simple breakfast of toast with spreads (strawberry jam, peanut butter or margarine), coffee or tea is provided at no extra charge. With its perfect location right in the heart of Chinatown, you get easy access to the train station and main bus services that take you around the city. You will get to experience the Chinese culture with sumptuous local dishes surrounding you. 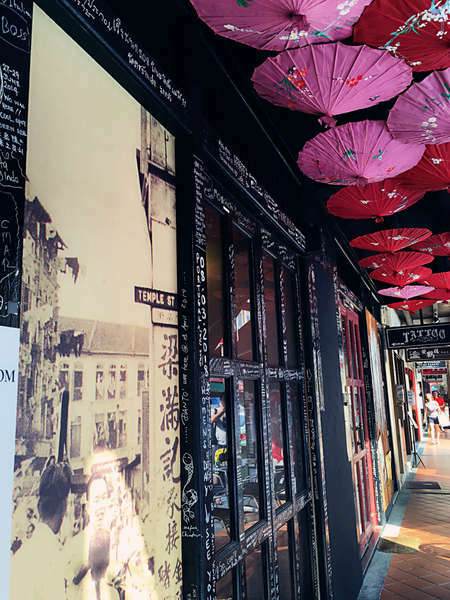 We are also just a short walk towards Clarke Quay, place where you will find a vast array of bars, restaurants and relaxing River Tours. * Alight at Chinatown station and exit at Exit A.
and keep walking straight ahead until you see the McDonald's sign. * Turn Left before the McDonald's sign and walk through the alley. Arrival Halls of Airport this shuttle transfer is by Changi Airport. venue/places you wish to visit during your stay in Singapore. are here for an event. 2. Any deposit’s made or booking reservation with rates under promotion that required full payment are non-refundable. hostel or further question and assistance. 2. Check In Time from 2:00pm and Check Out until 12:00 noon. Please take note for early Check In and late Check Out is subject to room availability. 4. In consideration for all guests, traveler with children below the age of 12 are advised to book into private rooms or book the entire dorm. 5. Due to the limited capacity at our inn, priority reservations will be given to tourists. 6. Any deposit’s made or booking reservation with rates under promotion that required full payment are non-refundable.